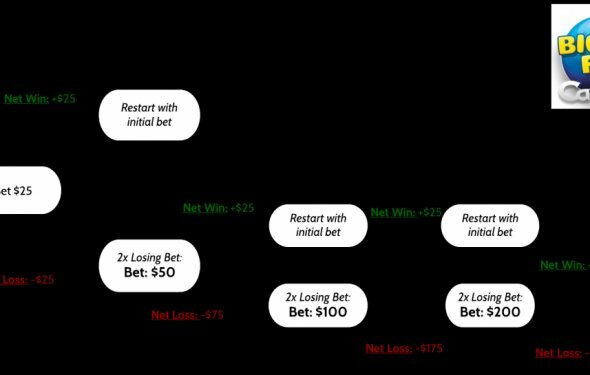 This figure shows what would happen if you lost eight bets in a row, which is entirely possible in blackjack. And for a person who normally makes $5 bets, $1, 280 is a lot to lay on the table for your ninth wager. Assuming you lose this, you’d now be $2, 555 in the hole. Furthermore, there are also betting limits at most blackjack tables, which means you’re not going to be able to double bets eventually.